Taco Seasoning - and good old American tacos. I've been craving tacos for a few weeks - not the fancy kind at southwest restaurants, topped with mango salsas and herbed cremas and authentic queso (although I do love those). But the old fashioned American kind - with "taco meat" (ground beef and taco seasoning) and cheddar cheese and greasy fried corn tortillas. Like mom and grandma used to make - only better. ;-) I'm sure that aside from the origin of the corn tortilla, and perhaps some cumin in the seasoning, these don't even remotely resemble an authentic Mexican taco (if a taco is even authentic, I'm not sure it is). But we Americans like to turn things into our own. So they may not be authentic, but that doesn't mean they're not really, really good! 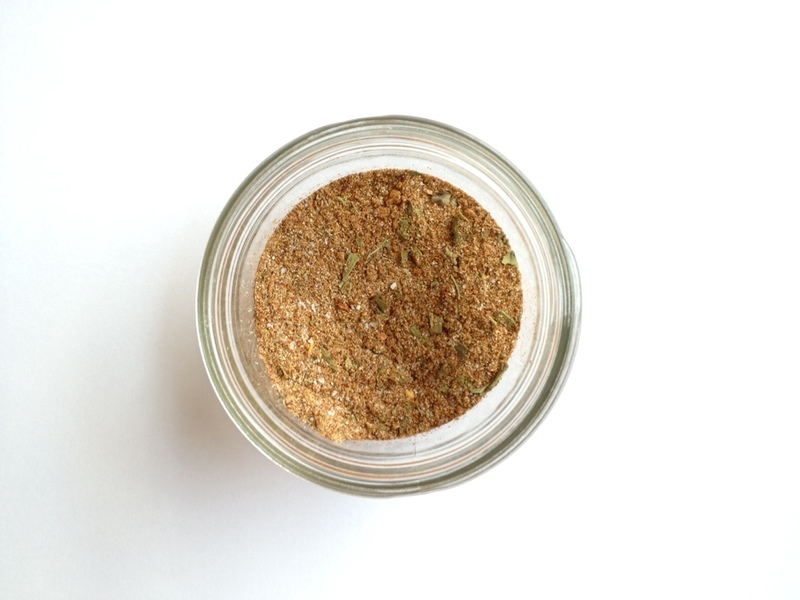 It's funny really, that taco seasoning (like pancake mix, and gravy, and so many other things) are one of these 'convenience' things that we just grew up buying in a package - it never occurred to us to make it ourselves. And then, when you finally do make it yourself, you are scratching your head in wonder over why you haven't always been doing it this way. Because it takes a grand total of about 2 minutes to measure it out. And if you measure out extra, double or quadruple the recipe, and put it in a jar in your pantry - then you have pre-mixed taco seasoning all ready to go for next time. I've made taco seasoning before, but I've lost the recipe, so I had to start over today. As usual, I looked up a few and used the pieces I liked. One of the problems with packaged taco seasoning (aside from the obvious), is that it's often too spicy for little kids. So when you make your own you can really control the level of spice will still having flavor. Measure it all out into a jar and stir. This is already at least doubled from many of the other recipes I read, so this quantity should be good for several batches of tacos. And you can definitely increase the spicy ingredients - I left them very low so that my littlest kids could eat this dinner. I used about 3 teaspoons of this mixture in 1 pound of ground beef for tacos tonight, it was a nice amount to give it flavor but still be able to actually taste the beef. I buy Painted Hills Natural Ground Beef - it's good quality meat with a lot of flavor, so I don't want to over season and miss out on that good beefy taste. All you do is mix the seasoning in with the beef as you brown it in a pan. Then for the tacos I take corn tortillas and fry them in a little oil until they are starting to get crisp, but still soft enough to fold in half. Fold them in half and then fry a little longer until crunchy. Then layer on paper towels. Then fill the corn tortilla shells with a couple tablespoons taco meat, some freshly shredded cheddar cheese and whatever else you like. We had tomatoes, avocado and sour cream, and salsa for the grownups. Delicious. Just as good as I remembered. The meat was flavorful but not spicy. And I have lots of taco seasoning left so I can easily make this again next week!